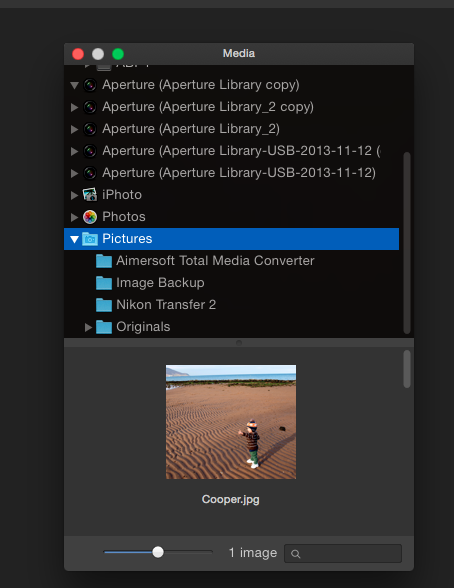 When Media Browser opens it displays entries for Aperture and iPhoto libraries, for Apple's Photo, and for Apple's Picture folder. 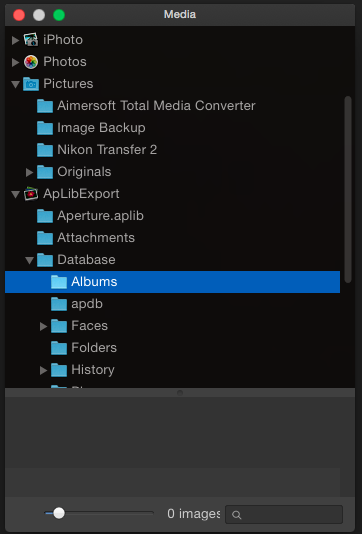 However, the Aperture and iPhoto libraries will not open, I haven't even opened Photos and intend to keep it that way, and what MB shows as present in Pictures does not tally with what is actually there (some content does not show). I had some success by creating an Aperture library in Pictures and dragging it to MB, where it seems to be OK, but dealing with all my libraries (I have several in Aperture for reasons of workflow) this way would be a pain in the you-know-what. So, two questions: Why don't the default Aperture/iPhoto libraries open; and if I'm going to have to populate MB with new versions via Pictures, how can I clear up the MB window by deleting the useless default files? 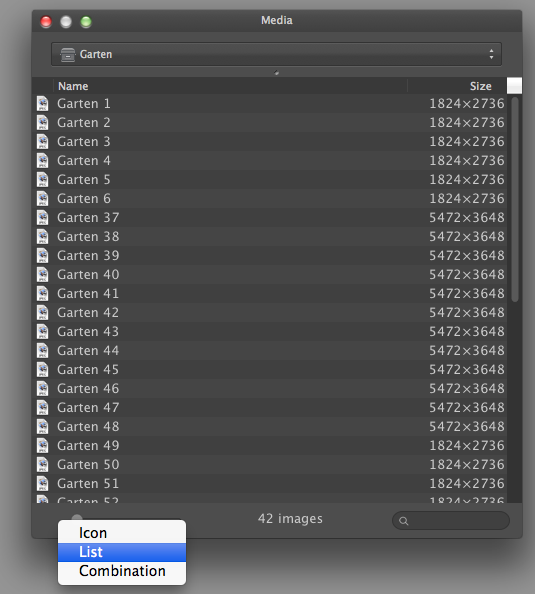 (I know that you can remove folders that you have dragged into MB by using ctrl click, but the only thing that you can do with the default Aperture, iPhoto and (I guess) Photo libraries isReload). Retina iMac (4K display, 1TB SSD, 16GB RAM) OS X 10.11.6 Capture One 10. I thought you had this working for Aperture. What happened? What was solved was the possibility that the issue previously discussed - namely that the default libraries failed to open - was because of file size - it isn't. The main issue that is unresolved remains, namely why the basic Apple libraries do not open (and if there is no answer to that, I'll have to go through the pain of creating duplicates in Pictures, which I am unsure will be a lasting solution - the MB/Pictures process has some gaps as described above).  The secondary issue is decluttering the MB window by deleting the default Apple libraries. Finally, in regard to the work-around, unless it is simple and stable it may turn out not to be worthwhile if an Affinity DAM is in the not too distant future. Well DAM will be some time off I guess. Publisher will come first and the beta is announced for the end of the year. Then maybe some 4 months of developemnt and then about nearly 3/4 year ahead from now we might be discussing a DAM. That's what I'm afraid of how the future will look like. Hi, ich muß auf Deutsch fortsetzen! Ich habe auch ein Problem mit dem Media Browser: 1. es wird zum Beispiel Apple Photos angezeigt, obwohl das Programm nicht genutzt wird (Reste eines Versuches?). 2. In Aperture fehlt ein ganzer Ordner. Gibt es eine Möglichkeit, Bildquellen wieder zu entfernen? Es wäre sicher hilfreich. Oder mache ich etwas falsch? Nein, was Sie beschreiben ist sehr ähnlich was ich sehe und ist ein Fehler im Media-Browser. Danke für die Bestätigung! Hi Alex, super Danke für den Hinweis! 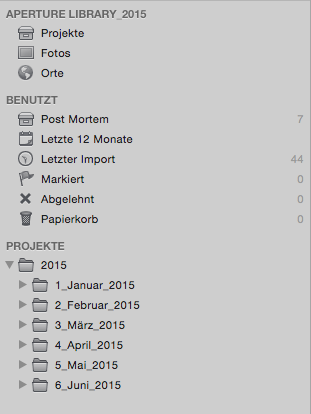 Es funktioniert (auch mit Yosemite)! Bliebe nun nur noch die Sache mit Fotos (App). Da die sich auch noch mal mit 10.10.4 andern wird ist das kein Problem in der Erprobungsphase. Als nochmals Danke für den Hinweis und ein entspanntes Wochenende! These are not quite the same for me. Aperture XML/Share preferences are at "Always" so that is not the problem (and I changed, closed, re-opened and reset in Aperture just to be certain). The attached illustrate the problems: None of the several Aperture libraries displayed will open at all; Ctrl clicking to reload has no effect, and "Reload" is the only choice presented - it is impossible to remove them from the MB list; the Pictures file tree seen in MB is missing the 2 Aperture libraries that are present (and can be see in the Finder screen shot). A potentially useful function the isn't (useful) and doesn't (function). Hi, Foto funktioniert auch, nur anfangs extrem langsam. Das Problem ist für mich nur, wie kommen die gespeichten Daten raus, als JPEG oder TIFF? Es nutzt nichts, ein JPEG intern in ein TIFF zu wandeln. Mal sehen was das neue Foto bringt? How do you undo/delete a folder already added to the Media Browser without having to control-click? Are there any plans of adding an actual remove or delete button, or maybe the usual plus/minus icons? Without something like this, it still be incomplete, although at it's current state it's usable, I suppose that's the focus for now in trying to get this ready for MAS. Additional view options would be nice too, like a list view for those that browse by filenames rather than visually by thumbnail views. This is useful for when dragging in images with long filenames but have same first few characters names but differ at the suffixes, thumbnail view wouldn't help in this scenario. I'll be sure to post this in the feature request section. It is easy to delete a file that you have added to MB, by right-clicking; three options come up, Remove, Reload, and Show in Finder. 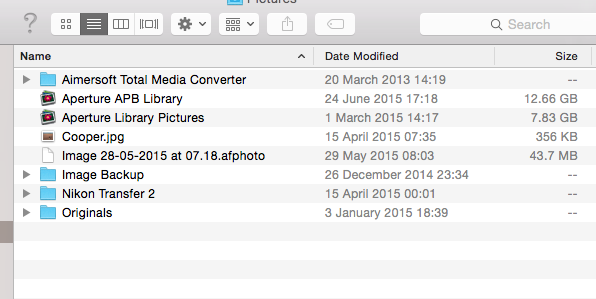 Only Reload shows for the default Apple library files (Aperture, iPhoto, iPhoto) - which is one of my issues. And no to the library location question. I have moved my Apple Aperture libraries a couple of times over the years, once to an external drive, then back to on-board when I fitted the 1TB SSD, but they are all in my Home account, and will not open at all in MB. However, I explored other options, including moving an existing library to Pictures but that does not work - it does open in that the folder tree becomes visible but the sub-folders won't open. Creating a brand new Aperture library and dragging to MB is functionally OK but I don't like the idea of doing that for all my libraries. And leaving the same library in Pictures - it is not visible! The whole MB thing is a train crash. I see the additional view options there now, however to most users, even if the functionality is built-in, if there is no visible way to access it to an unknowing user, it's effectively the same as if it's not there at all. I'm going to assume, that the hidden view options are there as a placeholder or meant to be experimental for now and that a proper icon button for it is coming later down the road. Thanks for the post #16 - the combination option is very useful. Does that mean you can see the file structure and thumbnails? As Bill already knows I know almost nothing about Aperture Libraries because I (a) don't use Aperture very much anymore and (b) usually delete the libraries after I do use it. But when I saw Bill's original post a week or two ago I created a new library and added several projects to it. I now have 6 projects in it and can see all of the Projects and each Project image thumbnails in the Media Browser. The projects are all single folders (as that is how I process my images) but I can see everything in them. Admittedly they are small with no more than 125-150 images per project, but I can see them. Mike, can I send you (and your MBP) a ticket from AZA to EDI? It is becoming clear that it can work - I have one Aperture library that is OK, and like yours was set up from scratch in the Pictures folder - but my existing libraries just don't want to play nice. Or perhaps I'll just buy a ticket to a desert island** ... after this experience. 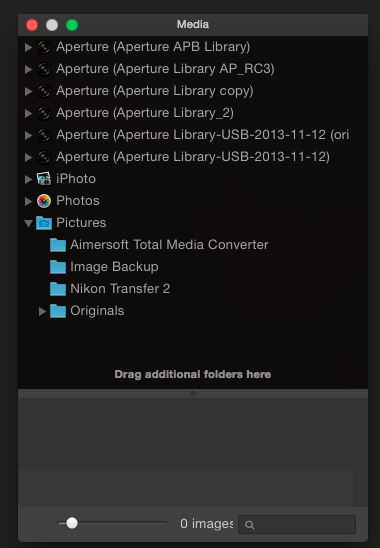 I created a new Aperture library in Pictures by exporting some albums from an existing one - named it ApLibExport and it shows nicely in Finder (see attached "Finder") and in Aperture. It does not appear in Media Browser ("MB_1"). 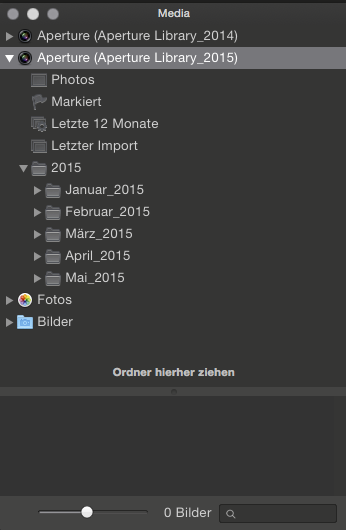 I dragged it from Finder to MB - where it now appears, and even shows in an Albums folder in the file tree - but it will not open. We've been playing with this here and we think it might be an OS X issue across versions - are you guys all on 10.10 Yosemite?